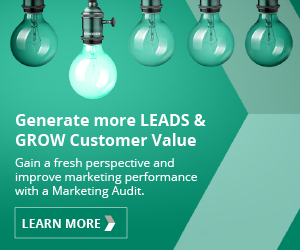 Communicate how you will implement your marketing strategy for greater ROI in marketing. Any day that begins with priorities and objectives is more productive than a day that is reactive. Yet many organisations still operate without clear marketing planning. Our plans don’t just get read once, they continue to evolve and drive business growth. And, they prepare organisations for change. Change happens. It is unavoidable. Customer needs change and competitors develop new products and technologies. But along with change comes strategic windows which present new opportunities. Be prepared for change with strategic marketing planning. Today’s buyers behave differently than they did just a few years ago. They are empowered more than ever, with easy access to information influencing their choices. This requires marketers to plan their marketing across the buyer’s journey more effectively than ever before. The perfect balance between daily marketing actions and thinking ahead to your long term marketing strategy. Communicate effectively & improve results with a content plan that is based on content goals and a keyword strategy. Develop a marketing budget that supports your business objectives and considers your resources. Give your new products and services the best chance of success with a well thought out product launch plan. At some point, every business will begin to question whether to keep their marketing in-house or outsource, some of it or all of it. It is a difficult choice, with each side constantly telling you how one option is far better. We don’t make you choose. We combine the experience and expertise of an agency with the control and sense of connection an in-house team offers. We can work as your in-house team or alongside existing employees on a fixed cost basis, offering you a level of flexibility that many other marketing agencies can’t provide. We can help you create a multi-channel marketing plan that delivers the results you need to drive business growth.